If someone were to pose the question, "Which is one of the most significant cities in all the chronicles of history," surely one of the most popular answers would be, Athens, Greece. The reason is simple. There are very few cities like Athens that have exhibited such major contributions to the shaping of human history and the spirit of humanity. From the Golden Age of Pericles to modern day, Athens is considered to be the cradle of Hellenic culture - a culture that has influenced all of mankind. The historical progression of the city began in very early times. Already from the Neolithic period, traces of domestication where found and multiplied through the passing of the ages. The period of splendor began with the legal and political reforms of Solon and Cleisthenes during the 6th Century B.C. - during which a system of government was created that is considered, to this day, as the most suitable form of governing a state and nation. The style of government we are referring to above is, of course, Democracy. The Persian Wars followed, where the Athenian's thirst for freedom overpowered the massive numbers of the Persian troops to bring an end to the extension of Persian mastery. With this great victory began the Golden Age of Athens. The city was assigned as the head of the Delian League and evolved into the most influential power in the Mediterranean. At the same time, the system of democracy took its final form and developments in the arts and literature took on incredible results. 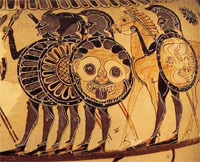 However, the civil dispute between the other major Greek city, Sparta, led Athens into decline. Even so, Athens continued to function as an intellectual and cultural hub - a characteristic that it carried through the Roman years. A new era was defined by the creation of Constantinople and the predominance of Christianity - leading Athens into a state of degeneration. The population had withered with the direct effect of turning Athens into a rural town. The city took another serious blow when its philosophical school was forbidden to operate. During the 11th and 12th Centuries, many temples and monasteries re-appeared. Furthermore, Athens fell victim to the predatory disposition of the crusaders who turned the city into a duchy. The conquest of Athens by the Turks symbolized a new era for the city. In the beginning, due to some advantages given by the Ottoman Empire, there was a slight improvement, but the corrupt empire did not allow for any more developments. The participation of Athens in the Ottoman / Venetian War from 1684 to 1699 brought about its desertion and catastrophe, which included major damage to the Parthenon. During the said second period of the Ottoman rule, again some benefits were involved, but development proved fruitless due to the deep-reaching corruption of the Ottoman Empire. Following the Greek War of Independence of 1821, Athens lay in ruins with only 10,000 inhabitants. By 1834, the city was reinstated as the nation's capital, thus re-taking its rightful place. From here on end, Athens became the center of all of the political and social developments of Greece. The population of 12,000 in 1834 increased to 100,000 by 1880 and boomed to 802,000 by 1928. The city has evolved into a major hub of industry and production. Today, the general periphery of Attica numbers nearly 4 million people and the city of Athens after the preparations to organize the Olympic Games 2004 led to a number of positive development for the city's infrastructure. 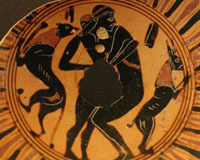 And in fact, Greece achieved to present a modern and dynamic face during this event.